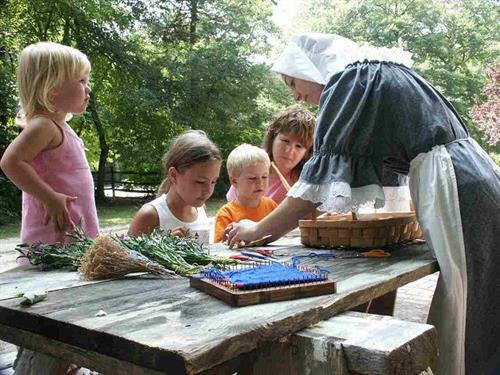 Two days of family-friendly, interactive and educational fun are planned for Historic Cold Spring Village’s “Hands-on History” Weekend, Saturday and Sunday, June 29-30, from 10am to 4:30pm. Children will be given a “Pastport” at the start of their Village trip, which can be stamped at the buildings they visit after completing a take-home craft or activity, like writing with a quill pen, carding wool or churning butter. Pastports can be redeemed at the Country Store for a free treat! Other family-friendly activities include games and live entertainment from traditional musician Mary Roth. $14 for adults and $12 for children ages 3 to 12. Children under 3 are admitted free. Unlimited free admission is available with Village membership. The Village Nature Trail at Bradner’s Run is open to the public for free self-guided tours. Visit the Country Store, Bakery, Ice Cream Parlor, Shepherds Hook, Cold Spring Brewery and Cold Spring Grange Restaurant. For more information on events, membership, volunteering, or booking private affairs, please call (609) 898-2300, ext. 10, or visit the Village website at hcsv.org.